Please Note: The Walk-in Clinic closed in 2016. We do offer extended hours services to patients enrolled with our family practice physicians at this location. At The Peterborough Clinic, we treat the most important health concerns—yours. The Medical Services page is designed to help you get more information so you can be informed and involved in your care. Please click on a link below or scroll down to view more information about our services. Please note: This is an information site only. Requests emailed through the Clinic’s website for the purpose of medical advice, follow-ups or booking appointments will not be answered. If such medical questions or concerns arise, we recommend that you phone the physician’s office directly. Mission – To provide a high level of care for the treatment and rehabilitation of hearing loss using highly skilled hearing care professionals and advanced technology at a fair cost to our patients. Cardiac testing is centralized at Kawartha Cardiology which is located at 327 Charlotte Street, in downtown Peterborough. Though they are partners of The Peterborough Clinic, the practices of Dr. Brian MacKenzie and Dr. John Reesor reside at this location and work in conjunction with Kawartha Cardiology to provide heart testing facilities usually located in hospitals. Services include EKG, exercise stress and stress-echo testing, echocardiography, pacemaker, vascular health network, thallium nuclear cardiology and rehabilitation services. Chronic Obstructive Pulmonary (Lung) Disease (COPD) occurs when the airways become swollen, weak and collapse easily making it difficult to exhale. The most common signs of COPD is shortness of breath especially with activity. People may also have a daily cough with or without phlegm. The main goal of the COPD Program is to diagnose and educate our patients with COPD to help keep them as healthy as possible. The patients are taught the best way to stay healthy while living with COPD, by learning when they need to be seen by the doctor and what they can do to help slow down their COPD. COPD is under diagnosed because people don’t realize they have it until it has become quite severe. Patients who might be at risk of developing COPD may receive a COPD Letter & Questionnaire based on their history and may be contacted to complete a Spirometry (breathing test). The purpose of a spirometry is to see how well the lungs are working and can tell us if someone has COPD. Most patients will do this right at The Clinic. If you have any questions about our COPD program or feel you are at risk for COPD please contact us at 705-740-6868 or chughes@ptboclinic.com. At The Clinic, our highly skilled Diagnostic Imaging team provides fast, safe and accurate diagnoses for patients. 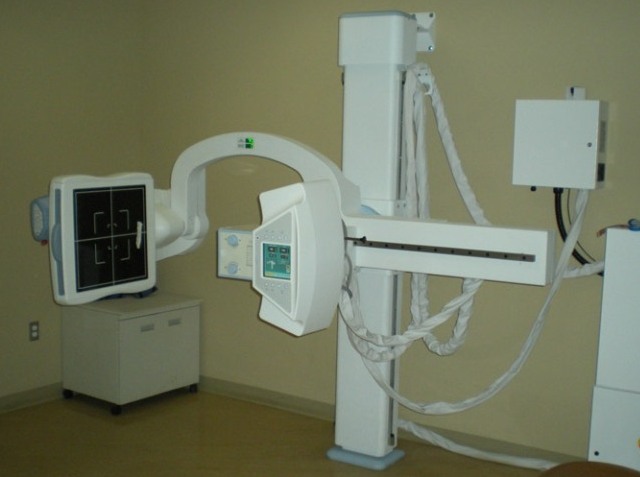 Our Diagnostic Imaging service includes general x-ray/radiology and ultrasound. We use an integrated PACS system, including digital images and written reports that are accessible by the Clinic’s medical computer system and therefore available to physicians within the building, and elsewhere in the region on a timely basis. Diagnostic Imaging is available for the public (you don’t have to be a patient). We strive to keep the wait time for appointments as short as possible. Ultrasound appointments are typically made within a week. Our x-ray service at this location is available by appointment and a walk-in basis. Registered Dietitian Tiffany Watson offers a number of services delivered through individual counselling and group sessions. Tiffany helps patients implement nutrition and lifestyle changes to best manage their medical conditions. If you have any further questions regarding the services and sessions Tiffany has to offer for patients please call: (705) 740-6522. Do you have an urgent non-routine care matter that cannot wait for the next available appointment with your family physician? The Clinic’s Family Practice physicians offer an “Extended Hours Service” to the rostered patients of the Clinic outside normal working hours. This service provides the opportunity for patients to see the on-call family physician during the afternoon, evening and weekend time periods, and helps to increase access to the services patients may require at that time. The on-call physician is able to access the patient’s electronic medical record and has the benefit of working with Clinic staff and its many support services. Your family physician will then have records of your care. Location: 26 Hospital Drive, 1st floor, behind reception adjacent to Pharmasave. We know that test results play a crucial role in your healthcare — in everything from diagnosis and treatment to managing a healthy lifestyle. That’s why we are proud to have a Dynacare Laboratory in our facility. Besides offering the largest menu of diagnostic and screening tests in Canada, Dynacare has a long history of delivering cutting-edge, clinically impactful tests for improved diagnosis and monitoring. This includes everything from routine tests to highly specialized esoteric assays. Dynacare also offers complete end-to-end testing, from specimen collection and transportation, to prompt, convenient and accurate digital reporting of test results. All test results are automatically recorded in our Clinic’s medical computer system providing the physician, and ultimately, the customer with excellent and timely service and follow-up. Location: 26 Hospital Drive, Lower level in front of elevators. Monday – Friday: 7:00 a.m. – 5:00 p.m.
Saturday: 9:30 a.m. – 12:30 p.m.
Dynacare also has an online booking services to minimize wait times. Please visit Net Check-In to schedule your next appointment. The Peterborough Clinic Pharmacy is part of the Pharmasave chain of independently operated pharmacies. 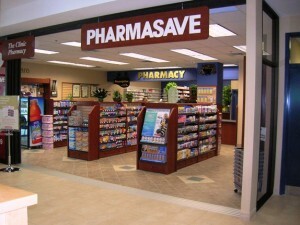 The Pharmasave brand provides a wide selection of products and services along with nationally advertised products. The pharmacist views their role as an educator and communicator helping patients and physicians understand more about drug therapies. Patients are encouraged to fill their prescriptions at the Clinic Pharmacy and receive free on-site parking. Instructions for prescriptions refills can be left after hours by leaving a message on the telephone message system. Your feet have direct impact on the rest of your body and support you with each step. A small abnormality in foot function can have a large impact on joints higher up in the body, causing pain and discomfort. At Performance Orthotics, the experienced clinicians provide patients with the opportunity to relieve lower extremity discomfort by correcting the underlying cause, using computerized gait analysis technology. They provide custom orthotics, custom and off-the-shelf bracing, and shockwave and Class IV laser therapy to eliminate foot, ankle, knee, back and hip aliments that cause pain and suffering to patients. To book a free assessment please call (705) 740-6819.